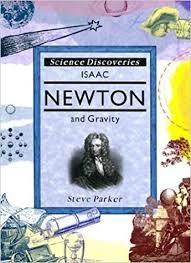 Newton and Gravity research papers examine the British scientist Sir Isaac Newtown who was key figure in the scientific revolution. British scientist Sir Isaac Newton (1642-1726) was key figure in the scientific revolution and formulated the law of universal gravitation in his landmark work Philosophiae Naturalis Principia Mathematica (Mathematical Principle of Natural Philosophy) in 1687. While the story of an apple falling onto Newton’s head is apocryphal, it is likely that Newton observed an apple falling from a tree and began to formulate the laws of gravity. The Law of Universal Gravitation states that any two bodies in the universe will attract each other with a force that is directly proportional to their mass and inversely proportional to the square of their distance. In simpler terms, the strength of the force of gravity between any two objects depends upon the mass of the objects and their distance. If the mass increases, then the force of gravity also increases. Conversely, if distance increases, the force of gravity decreases. While Isaac Newton is universally credited with the discovery of gravity, Robert Hooke accused Newton of plagiarism in 1686, claiming that he presented a paper to the Royal Society in 1666 entitled “On gravity.” Hooke stated that Newton lifted the idea that gravity decreases as an inverse square. Newton, however, counterclaimed that although others had laid the groundwork in formulating gravity, the mathematical proofs were all his own. General Relativity research papers discuss Einstein’s general relativity that is a synthesis of special relativity and Newton’s Law of Universal Gravitation. Paper Masters writes custom research papers on Newton and Gravity and examine the British scientist Sir Isaac Newtown who was key figure in the scientific revolution.